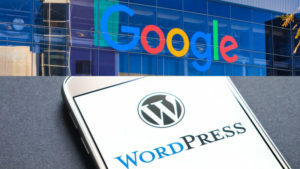 Google has started partnering with WordPress. This gives all of us WordPress site owners a little lift in Google juice. Read the Article. WordPress now represents 59% of all content management software websites. That’s an estimated 1/3 of ALL websites. If you aren’t using a WordPress site, let’s talk about your options. Every site needs to take advantage of every opportunity to be Google-friendly. Share the post "Google Partners With WordPress"